The great patriot, inventor, and kite-flying enthusiast Ben Franklin once said, “By failing to prepare, you are preparing to fail.” This pithy aphorism is particularly apropos in light of the FCC’s draconian set of new TCPA rules scheduled to take effect on October 16th, 2013. Hopefully, lead generation companies, contact centers, and telemarketers have spent the past few months modifying their practices in preparation for these changes, but many haven’t simply because they’re so confusing. Ironically, the FCC enacted these new rules in order to make things less confusing. By and large they reflect the current state of the FTC rules as set forth in its Telemarketing Sales Rule. That would have been simple, but apparently the FCC was wanted to outdo its sister agency, because its new rules are even more draconian, and anything but simple. What does it take to call a residential line? A cell phone? 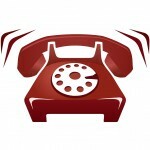 Can you use a predictive dialer? Can you call an existing customer with an appointment reminder? Can you still call your own mother without running the risk of a class action lawsuit? This brief guide will hopefully help answer some of these thorny questions. 1. Who Must Comply? Basically, anyone placing a call that offers, promotes, or markets products or services. Those who place purely informational calls (debt collectors, political groups, survey companies, etc.) are in the clear. Also, the TSR did not cover common carriers, banks, insurance companies, and airlines because the FTC does not have jurisdiction over those industries. The FCC, however, does have jurisdiction, which means their get-out-of-jail-free card has just expired. 2. Established Business Relationships: The old rules permitted live calls to the residential lines of existing customers. The new rules do not. 3. Prerecorded Calls: The old rule allowed prerecorded calls to residential or mobile phones with the prior express consent of the consumer. This means that consent could be either written or verbal. The new rules require prior express written consent (PEWC, which, appropriately enough, is pronounced “puke”, ) for all recorded telemarketing calls, just like under the TSR. 4. Autodialed Calls: This one is the stickler. The new rule lumps calls made using an “automatic telephone dialing system” (“autodialer” for short) with the prohibition against prerecorded telemarketing calls, which means you now need PEWC to make a live telemarketing call using an autodialer. This obviously begs the question “what is an autodialer?” The rule defines it as “equipment which has the capacity: (A) to store or produce telephone numbers to be called using a random or sequential number generator; and (B) to dial such numbers. So what if your system is dialing using a specific list, and not randomly? The FCC and the courts have interpreted this definition broadly, so assume that any type of machine that doesn’t require a human being to initiate a call is an autodialer. This includes a predictive or preview dialer, and you obviously can’t make a prerecorded call without an autodialer, so the prohibition against recorded calls is pretty much overkill. So unless you have a roomful of agents dialing numbers by hand, you’re covered by the rule. 5. Mobile vs. Residential: Under the old rules, you needed consent (written or verbal) to call a mobile phone, even if the call was purely informational, but you could place an informational call to a residential phone without consent. The new rules require PEWC for telemarketing calls to residential phones, and still have the express consent requirement for any call made to a cell phone. 6. Calls to the DNC: Before October 16th, you could only call numbers on the DNC if you had some kind of consent. After the 16th, you need consent for calling any number with an autodialer. For all intents and purposes, the DNC is now irrelevant. 7. What Constitutes PEWC? An agreement, in writing, bearing the signature of the person to be called that clearly authorizes the seller to deliver telemarketing messages using an automatic telephone dialing system, and the telephone number to which the signatory authorizes such telemarketing messages to be delivered. Also, the written agreement must include a clear and conspicuous disclosure informing the person signing it that: (A) by executing the agreement, such person authorizes the seller to deliver telemarketing calls using an automatic telephone dialing system; and (B) The person is not required to sign the agreement as a condition to purchase or receive any goods or services. 8. How do you Obtain PEWC? For the purposes of the rule, an electronic signature that is valid under the E-SIGN Act will work. That means you can obtain a “signed” agreement through an email exchange, website form, text message, telephone keypress, or a voice recording. Hopefully, this explanation is somewhat less confusing than the text of the rule. One way to ensure compliance is to remember this: when in doubt, get PEWC.